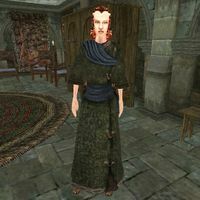 Dabienne Mornardl is a Breton enchantress who works for the Mage's Guild in Wolverine Hall. She provides enchanting service, as well as a selection of magical items for sale. This page was last modified on 8 December 2013, at 05:06.